These cute alphabet cards are perfect addition to your word wall. 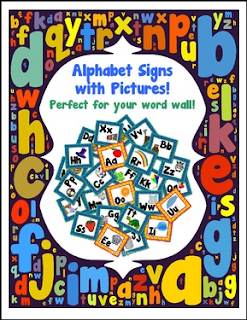 They use a kid-friendly font and they have cute clipart pictures for each letter. The vowels have a different color border than the other words so that your children will easily be able to find the vowels, and best of all, they're free!